We all know the importance of exercise. From reducing major health risks to boosting mood, vitality and even brain power! Yet the sad fact remains that less that 80% of the developed world achieve the recommended level of exercise every week, with many people still doing no structured exercise at all. Obesity levels continue to rise and cardiac disease remains a major killer in the western world. The fact is we all need to overcome our exercise apathy and make positive steps if we want to live longer and fuller lives. So what tips will help you to get active and stay more consistent? The most common excuse given for not exercising is lack of time. We all lead busy lives, have demanding jobs and hectic social commitments. But what if you could burn fat, improve your cardiovascular health and feel better with just 4 minutes of exercise a day? Surely we could all manage that. The fact is that lack of time is no longer a valid excuse for not exercising. As exercise scientists have revealed, shorter more intense workouts can be just as effective, if not more so than longer exercise sessions. In fact some of the world’s leading celebrity personal trainers now recommend short “power workouts” to their clients lasting as little as 4 minutes at a time! These short, intense workouts are based upon the principle of interval training which can provide many of the benefits of prolonged exercise but in a fraction of the time. Scientists at McMaster University in Ontario found that just a few minutes of exercise when working at one’s maximum capacity produced changes within the muscles similar to those produced with several hours of prolonged low-intensity jogging or cycling. Shorter workouts are also easier to fit into our schedule and don’t go on long enough for boredom to set in. Evidence shows that we are also more likely to stick to exercise by keeping each session shorter. Even some of the world’s highest paid sports stars admit to having days that they would rather not train. On those kind of days its great to have a workout buddy who can help you find your mojo. Training with friends or family is a proven way of helping to stay motivated. This is one of reasons exercise classes have become so popular, from BodyPump to Zumba there are all sorts of classes you could choose from. Even if you just want to go for a run, why not go with a friend and run together. Adding a social element to exercise can really help to keep your interest levels higher. Exercising with no goal is like sailing a boat with no real destination. Yes the journey can be fun, but where precisely are you heading? It’s proven that we are likely to stay more motivated and will stick to exercise more consistently if we have a pre-defined goal. It may be a weight loss target or perhaps a fitness goal. Try finding a picture of the kind of body you aspire to and stick this on the fridge. It’s a reminder to you every day of what you’re working towards. Set yourself mini-goals along the way to help to keep yourself focused. Remember at school when you got rewarded for good work? Didn’t you feel good? It’s a proven psychological trigger that helps us to want to do well and to continue to push ourselves. So why not promise yourself a reward if you achieve your fitness goals. It could be an item of clothing, a night at the movies or just an afternoon with your feet up. 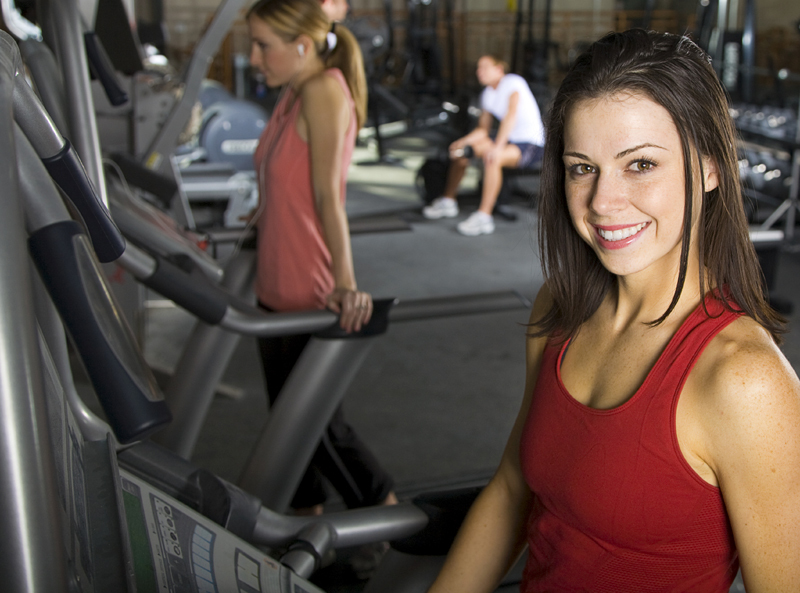 Setting rewards for your actions has been proven to help with exercise adherence. We all make time for doing the things we enjoy. That’s just human nature. So why push yourself to run endlessly on a treadmill if you hate doing it! There are so many ways we can get fit from individual pursuits like running, climbing and trekking to team sports like football, tennis and volleyball. Find an activity you will enjoy and one you are likely to stick to and don’t be afraid to try new pursuits. Maybe get your family involved and go cycling together at weekends. By keeping your exercise regime less routine and more varied you will be far more likely to stick with it. Matthew Rowe is an exercise physiologist and master personal trainer at MotivatePT where he helps inspire others to lead healthy and more fulfilling lives through fitness and wellbeing. With over 20 years experience in the Fitness Industry, Matthew is a prolific writer and speaker on the subject of all things health and fitness related. Great advice. I find mental barriers are the main thing keeping people from achieving their health goals.